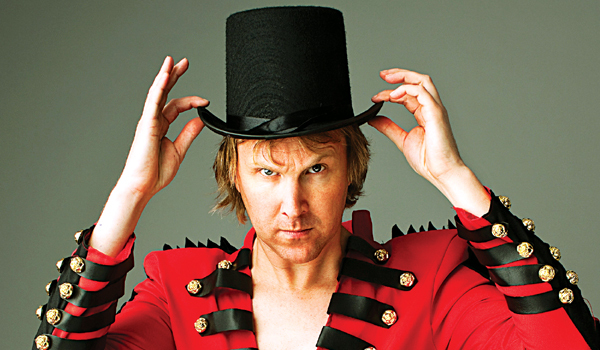 Hailed as a�?The outright king of live comedya�� by The Times, UK, Irish comedian Jason Byrne makes his way to the city today. Having launched his career back in 1995, and risen to fame in 1996 for his successful run on talent hunt show, So You Think Youa��re Funny, Byrne has performed across the globe from New York, Boston, and Brussels to Milan, Paris, Hong Kong, Singapore and Australia. And despite being in the industry for two decades, the 44-year-old, who is said to be the largest selling act in the history of the Edinburgh Festival, is still going strong. Brought to India by AGP world, the show, entitled, Jason Byrne Is Propped Up, has a few surprises in store. He talks to us about what to expect. The kind of comedy I enjoy doing. I like when something unexpected happens. I like when everyone goes home knowing they saw something special that will never be seen again. They cana��t really tell anyone about it, but theya��ll try. Spike Milligan, Tommy Cooper, Mulayam Singh Yadav. Projects Ia��m currently involved in. Ia��m constantly touring. I have a British tour until December, an Irish tour from January to March next year, and an Australian tour from March to May. While all that is going on, Ia��m working on this series called Wild Things for British channel, SKY1. Oh and I just finished my book, The Adventures Of A Wonky Eyed Boy, which will be released next month. My act will have a big Bollywood ending, to make it appeal to Indian audiences. Sneak peek into whata��s in store. There will be magic, sort of. There will be dolphins, kind of. There might be horse racing and therea��ll definitely be sweating. The issue of the varying amounts of dimples on a table tennis bat, the difficulty in taking tights out of a washing machine a�� you know all the relevant social and political issues. My take on the stand-up scene in India. It doesna��t have enough dolphins or horse racing or talk about table tennis bats. Other than that, I love it.